Sharon Lee “NaNa” Woods was born in San Diego, California, On January 6, 1951 to the late James Robert and Willie Ruth Cross Woods. 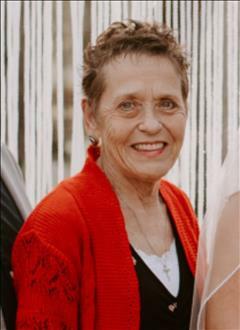 Sharon passed away unexpectedly April 4, 2019, at her home. She shared a life lived to the fullest in her own way and on her own terms. She had taken the burden from any of us and had all her affairs in order when needed. Sharon's request is that you remember as she was to you. She did not want a service for that reason. She asks that you do take the day and use it for yourself and your family. Have a drink take a nap but do it with her in your heart. She asked that instead of flowers you donate to an animal shelter or ASPCA in her name. She helped us to stay together in joy and sorrow in family prayer. Teach us to see Jesus in the members of our families, especially in their distressing disguise. Sharon was a disabled veteran who loved life to the fullest. She enjoyed any garage sale estate sale that she could find. She had a passion as of late for painting concrete sculptures and was very talented at it. She earned a degree from Kilgore College in her late 40s and was Legal aid for Rod Scott in Longview Texas. Sharon was a very strong willed and sometimes stubborn person and always stood her ground. She stood up to and made it through a lot of hard life lessons and adversities. Some of which most people would have buckled but not Sharon all 100 pounds of her could come at you like Tornado and a Hurricane at the same time. And even when she was wrong, she would eventually let you know, usually with a smile and Puppy dog eyes. She loved Animals to no end her beloved pets were always king of her castle. She put countless hours of time and attention into any and all she had. She had a special bond with them, and they would return her love to her hundreds of times over. Survivors include, Daughter and son in law, Mishelle & Shane Clapper, Ditter - Emma Sue Callahan, grandchildren, Chase & wife Amanda Frazier, Taylor & wife Jessica Clapper, one Great-grandchild, Addison Clapper. Other survivors include, niece, Brenda Shepard, brother, Hal Glen Woods, Uncle Richard "Buck" Cross, Aunts- Lenore Bouge , May Hudnall, her beloved animals, Poppy, Layla, Guthrie and Tootsie Pop, and a slew of cousins and extended family throughout a lifetime that may not be blood related but are Gods next best thing to it. more and more each day, and forgive each others faults as you forgive our sins.